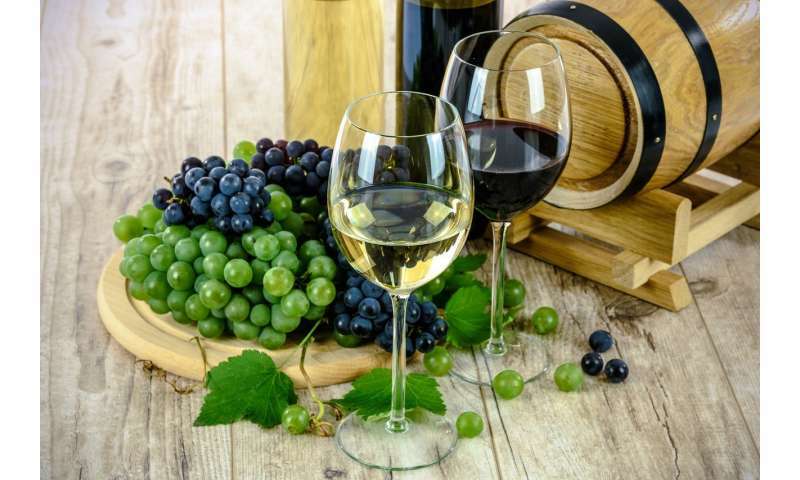 Researchers at the University of Adelaide have found yeasts that naturally occur on wine grapes may improve wines produced in warmer climates. Up until now the use of these 'natural' or 'wild' yeasts during the production process has mostly been discouraged by wine makers. The study, published in Scientific Reports, focuses on the effects of Lachancea thermotolerans yeast which occurs naturally on grapes. "This important research shows a potential new way for oenologists to improve the quality of wine grown in warm climates using different strains of naturally-occurring yeasts," says Vladimir Jiranek, Professor of Oenology and Head of the Department of Wine and Food Science, University of Adelaide. Dr. Ana Hranilovic, a recent Ph.D. graduate from the University's ARC Training Centre for Innovative Wine Production, carried out the research with support from the University of Bordeaux, Charles Sturt University, CSIRO and Laffort Oenology. "Intentional over-ripening of grapes, as well as rising global temperatures due to climate change, produce excess sugar in grapes, which are converted to ethanol during fermentation. This results in highly alcoholic wines," says Dr. Hranilovic. "Highly alcoholic wines may not necessarily be a good thing. Wine fashions change as consumers' tastes change but also these wines can lack acidity, be different in flavour and lead to a higher cost to the consumer in the form of higher taxes." 'Fixing' such wines can be difficult or costly. For example, boosting acidity for a 'fresher' taste and to reduce the risk of bacterial spoilage adds to the production costs. A solution to all of these problems may be the use of different yeasts. While these have always been around, efforts were made to suppress them during production. "These yeasts don't always improve wine as they can cause different off-flavours," says Dr. Hranilovic. However, this study has highlighted that certain strains of naturally-occurring yeasts have beneficial effects in wine production. "The yeast Lachancea thermotolerans produces high levels of acidity in the form of lactic or 'good' acid. This type of acid improves the wine by giving it a soft, mellow taste." "But Lachancea thermotolerans, and other similar yeasts, cannot be used on their own as they are not capable of consuming all the grape sugars. They must be used in conjunction with the typical 'wine yeasts'. "We now need to do more research into how different blends of yeasts affect the taste and the quality of wine," says Dr. Hranilovic. "The ultimate aim of the research is to produce a simple method of blending different strains of yeasts to improve the quality of wine," says Professor Jiranek.